Through the hostel where I was staying I was able to purchase a ticket on 6:59pm train to Nanning. This gave me a free day with nothing to do but wander the city. Some of Chongqing looks like the ghetto. But there are very nice parts to the city. Downtown Chongqing is quite ritzy. 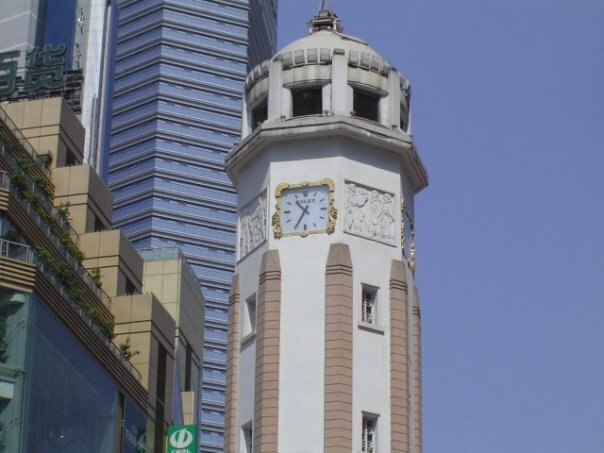 In fact the monument in the middle of the shopping area is made by Rolex. The people I met were very friendly. It seemed that anyone in town who could speak English came out to talk to me that day. One Chinese guy, who travels to Vietnam often, walked around with me a bit and gave me advice on the must-sees in Hanoi. Another Chinese man sat and talked with me about the year he lived in Philadelphia. I spent most of the afternoon with a German guy who lived in Shanghai and was in Chongqing for vacation. He tried to get me to go with him to a beer garden, but I didn’t have time and I hate beer. 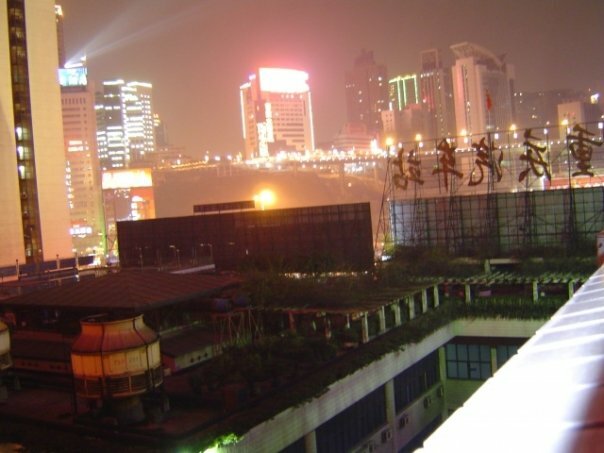 When I got to Nanning it was late at night. My plan was to get to Vietnam as soon as possible. I left the train station and took the first nice-ish hotel I could find. Soon after, I regretted not going to a hostel. Although their English was just a little less than okay, the ladies at the front desk did not know enough about Nanning to be able to answer any of my questions. The internet café was three blocks away. This is when I learned about the earthquake. I was probably on the train at the time it hit. Then the easiest question I asked was, “Where can I buy a bottle of water?” Again they didn’t know. There was a mini-mart one block away from the hotel. They must see the store as they pass it everyday on their way to work. Or are they blindfolded and pushed out of a car that slows down a bit as it passes the hotel? 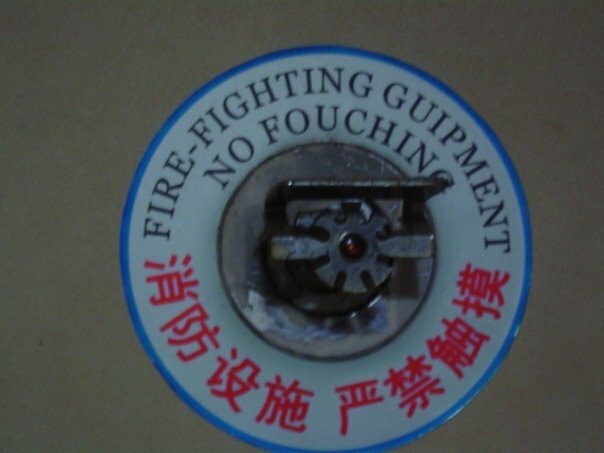 That was the last time I would ever stay in a hotel in China! You can get there by train, bus, plane, or boat. 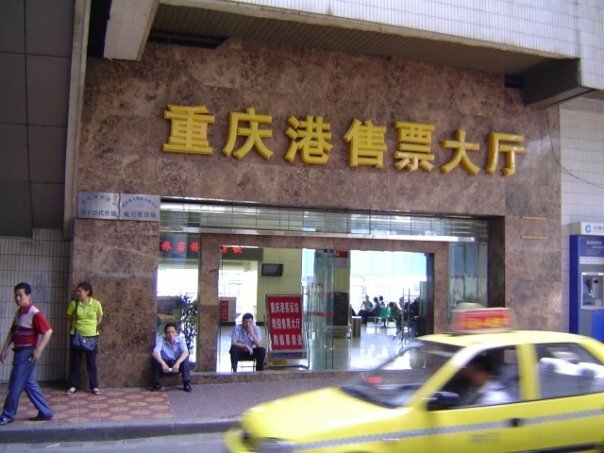 Use to go between the train station and Chaotianmen Gate (朝天门) near Chongqing Ying Bin Bus Station (重庆港迎宾汽车站). The #503 is a better choice when going to the train station because the #120 doesn’t stop in front of the station. If you’ve gone through the tunnel, you’ve gone too far. 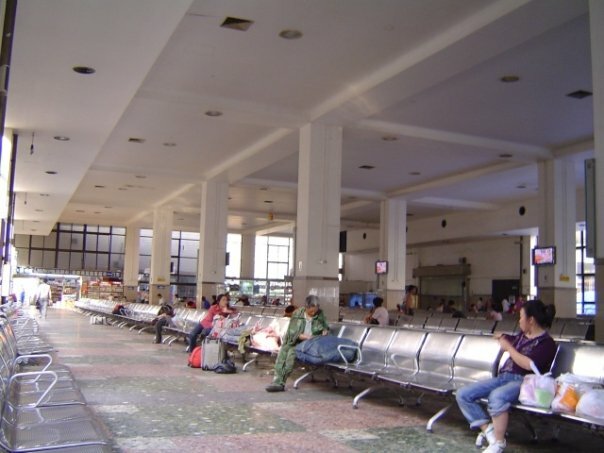 Runs between the airport and Chongqing Ying Bin Bus Station (重庆港迎宾汽车站) near Chaotianmen Gate (朝天门). There are also buses and boat into and out of Nanning. Wouldn’t you like to take a cruise? I hate when people fouch my things. 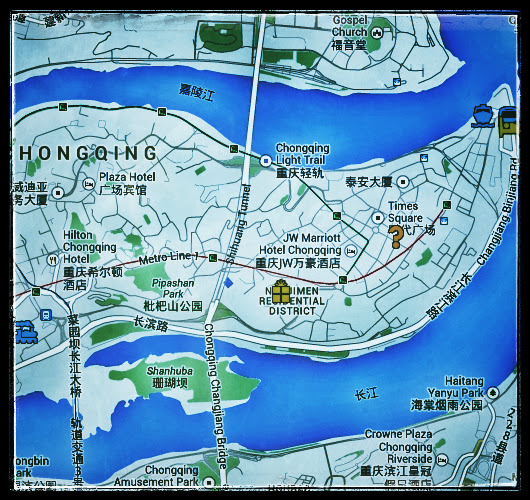 When I got to Chongqing (重庆) the first thing I did was find a hotel. In my search I passed the train station. The amount of people there was the same as at the Xi’an train station. These people, however, weren’t standing and looked like they were living there. It reminded me of those nerds you see camped outside movie theaters in hopes of getting tickets to the opening of a new Star Wars movie. It was cold and I felt really bad for them. They were sitting out in the snow in hopes of buying a train ticket home. They were stuck in Chongqing because of a combination of the Chinese the New Year holiday and the snow storm. By the way… Happy year of the Rat! I didn’t want to take another plane to the next town and it was obvious that taking a train was out of the question. So, I had to be very creative. I searched the internet for ways out of Chongqing. I walked around the city to see if I could come up with some non-flying way to Wuhan (武汉). In my Lonely Planet: China book, a book with misinformation mixed with usefulness, there was an entry on various methods to move along the Yangtze River. There was also an entry for the Harbour Plaza Travel Centre which was at the Harbour Plaza Hotel. The staff there was supposed to be very helpful. So I stopped by the hotel the next day. Me: “Is there a boat to Wuhan that leaves from Chongqing?” I asked this question fully knowing that there was. I looked right at a poster on the wall above the agent’s head. It was of a boat that said it went to Wuhan. I pointed to it. Me: “What about that one? If this were anywhere else in the world I would have walked out of there and gone somewhere else. But here, in this city in China, I felt I was lucky to find someone who spoke enough English that I didn’t have to play charades. Plus, the lady was very nice to me when her phone wasn’t ringing. Me: “I was asking about that boat to Wuhan.” I pointed again to the poster. The agent turned to look behind her. I got the feeling that right then was the first time she had ever seen the poster. There was a long pause. She just stared at me as if it were my turn to say something. We sat there just staring at each other again. I realized that she wasn’t going to do anything, so I gestured to her to pick up the phone. She called someone and spoke in Chinese for about five minutes then she hung up the phone. We sat there just staring at each other, again. I realized that she wasn’t going to do anything, again, so I gestured to her to pick up the phone, again. She called someone and spoke in Chinese for about five minutes then hung up the phone. It went on like this for about 2 hours! The dock was just a 15 minute walk from the hotel, so I just went there myself. I left the agency with general directions to the dock. I had the agent write down the name of the exact boat I needed to take and the name of the office as it would appear on the sign. I knew that there were still seats left on tomorrow’s boat and the exact cost of the fare. The agent even called ahead so the people at the ticket counter were expecting me and knew what I wanted. On my way to the dock I was harassed by hordes of people trying to get me to buy Yangtze cruises from them. I showed someone the paper with the name of the office as it would appear on the sign. One of the Yangtze salesmen told me that his shop was the place that was written on my paper, so I followed him. When I got to his shop he showed me all the wonderful cruises that I could take. I told him that I wanted the fast boat to Wuhan; the one that cost the price the travel agent quoted. He told me that one was completely sold out, but there were more expensive ones that were still available. “Wouldn’t you like to take a cruise?” he asked with a smile. I told him that I knew he was lying and I got up to leave. He suddenly “remembered” another boat; maybe it was the boat I wanted. It was a fast boat. Then he quoted me a price. It was about 30USD more expensive than what I knew it should cost. He started singing the praises of this 30-dollar-more-expensive boat but by then I was outside and headed towards the dock. He followed me. I stopped a man to ask for directions to the dock, showing him my paper with the information. He started to explain but then the salesman butted in and spoke to the stranger in Chinese. After that, the man on the street refused to talk to me. This happened three or so more times. The salesman wouldn’t stop following me. I started to feel a little scared. I stopped, turn to look the salesman in the eyes, and said, “Please, stop following me.” He started to tell me about the cruise he wanted me to buy and while he spoke he stepped a little too close to me for my comfort. I stood there and yelled, loud enough for each and everyone around me and this creepy guy to hear. And just to let him know that I am, in fact, a world-class screamer, I belted out a sample. The man looked at me as if I was a lunatic and ran away. As he went running and everyone else was just standing still, staring at me another Yangtze cruise salesman, well saleswoman, started to approach me. I pointed to her and said, “I will scream. Leave me alone.” I don’t think she understood English, but at that moment she decided to peddle her wares elsewhere. 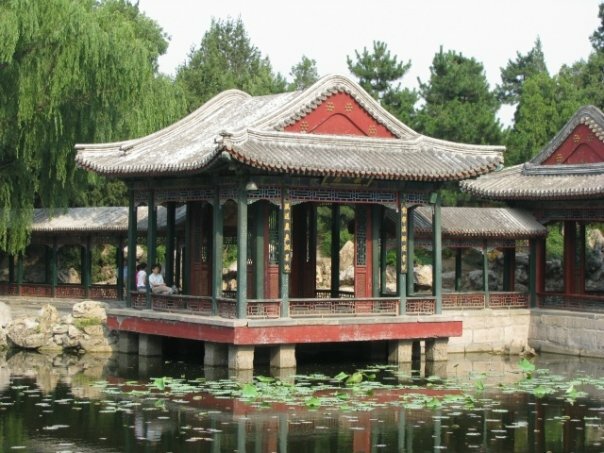 By the time I got my ticket to Wuhan, I was too tired to do anything else. 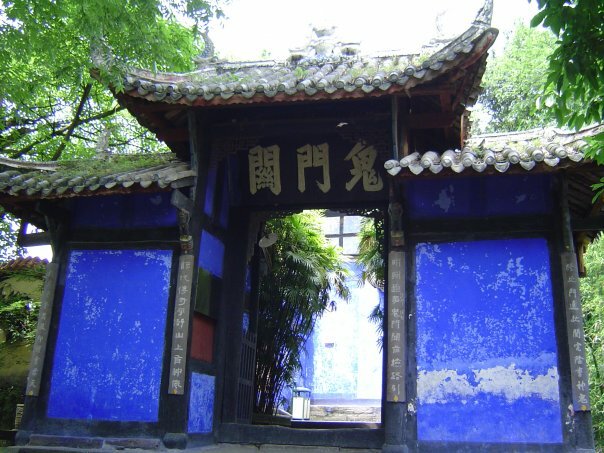 The reason for me going to Chongqing in the first place was to visit Feng Du and to see the necropolis there. But I didn’t have time for the four-hour bus ride there and four hours back. I returned on a later trip and I got to see The City of the Dead. The next day I got up early and took public bus #503 which goes from the train station to the bus station by the dock. It was an old rickety thing that looked like it was the first bus this city ever bought. I walked from the bus station to the dock and waited about 20 minutes until it was time to go. The lady in charge rounded up all the ferry passengers and walked us back to the bus station from where I had just come. We traveled by bus to Wanzhou for about 3 hours. Once at Wanzhou we were piled onto a mini bus which took us to a dock. 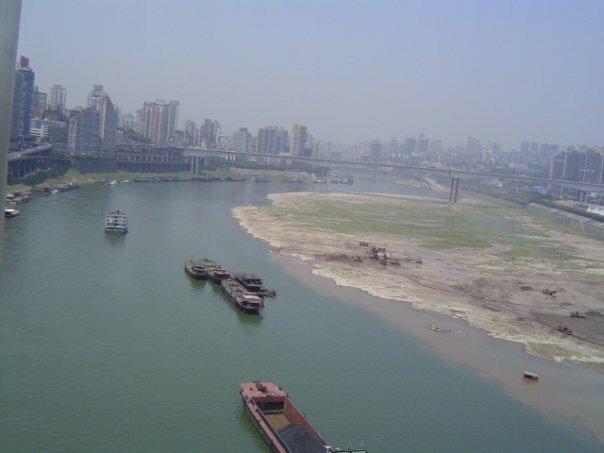 At around 10:00 a.m. that day, we boarded a stinky fast boat down the Yangtze. This boat was so filthy that I only used the toilet once and only because my bladder was on the verge of explosion. There was a kitchen on the boat, right across from the bathroom. I am sure that the boat’s kitchen is where all illnesses are born. People did order food and ate it on the boat, but I lost my apatite for the rest of the week just looking around the vessel. After 6 hours of boating we reached… somewhere; I never did find out the name of the town. From this town we hopped on another bus. I had befriended a college student on his way to Wuhan. He was spending the night in Yichang and would to Wuhan next day. He told me that he would help me get on a bus that night to Wuhan. This was when I realized that I was not already on a bus headed for Wuhan. We were on a bus to Yichang. This ride took one hour. I should have missed the last bus to Wuhan. It should have left half an hour before I got to the bus station. But thanks to Chinese Bus Commandment #1 “No bus shall begin its journey unless all seats are occupied; scheduled time of departure matters not,” the bus was just sitting at the station waiting for more people to come along and occupy some empty seats. The bus ride to Wuhan lasted 5 more grueling hours. Goes between the train station and Chaotianmen Gate (朝天门) near Chongqing Ying Bin Bus Station (重庆港迎宾汽车站). The #503 is a better choice when going to the train station because the #120 doesn’t stop in front of the station. If you’ve gone through the tunnel, you’ve gone too far. If you want to take a cruise down the Yangtze, don’t go to any of the “travel agents” near the dock. They will mark up the price or tell you that the cruise you want is full, but for an extra $$$$ you can take ABC cruise. There are many types of cruises. There is even a fast boat you can use when train tickets are all sold out. 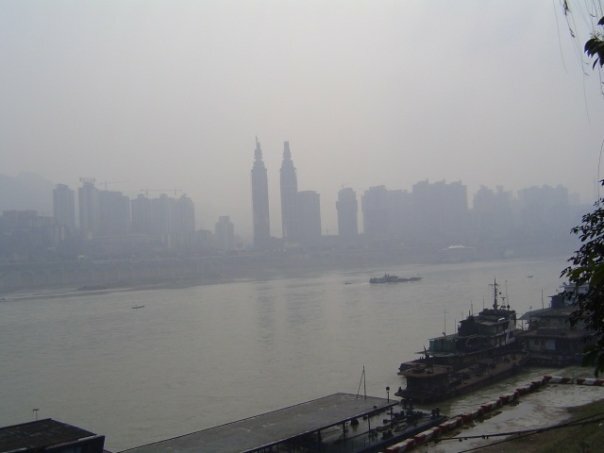 But, I would not recommend the fast boat unless you really need transportation out of Chongqing. The boat stinks. The bathroom is vile. You can’t see out of the windows. But the most horrible thing is that they pack the boat with so many people there’s hardy any room to move. 1. Go to the front desk of your hotel or hostel. Most of them have some information about the cruises. If not, go to the Harbour Plaza Travel Centre in the Harbour Plaza Hotel. You can get there by asking for directions to the Liberation Monument. 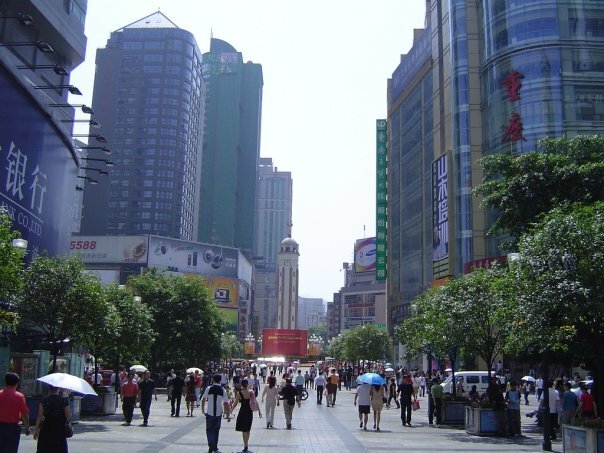 The hotel is about a block away from it, on the corner of Zourong Lu and Wuyi Lu. 2. Find out which cruise you want and the price. Have someone write the cruise information in Chinese. Ask them to also write down “Chaotianmen Dock” in Chinese too, so you can find the right place to go. If you go to the Harbour Plaza Travel Centre you could pay extra and the lady will pick the tickets up for you. But you will have to return to the hotel later to get them from her. 3. Go to the Chaotianman Dock. People will chase after you yelling “Hello, hello”. IGNORE THEM. Go to the dock; the place in the picture above. You might even want to print it out and take it with you. Don’t go anywhere else. 4. Show the person at the dock your papers with the cruise information. Most likely the clerk there will speak no English. If he or she has something important to tell you have them write it down. You can take this paper to your hotel or any fancy hotel and ask someone to tell you what it says. 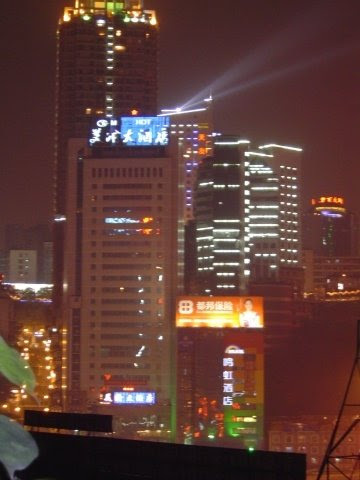 From Chongqing go to the Hongqing Ying Bin Bus Station (重庆港迎宾汽车站) near Chaotianmen Gate (朝天门). Buy a ticket on a bus to Fengdu. One ticket one-way costs 66 Yuan. When you get to Fengdu you have to a take a minivan/taxi to the Ghost city. The cost of the taxi ride will depend on your negotiation skills. The Ghost city itself will cost 80 Yuan. If you don’t want to walk up or down the mountain it will cost 15 Yuan extra each way to use the ski lift. I recommend using the ski lift up and walking down. You will definitely want to see the crazy stuff on the walk to/ from hell’s gate. If you are visiting during the non-peak season you should make sure your taxi driver will come back to get you.